Every once in a while a truly unique, one-of-a-kind, item finds it’s way onto bidorbuy for sale. February 20 – 2013 – was one such day. 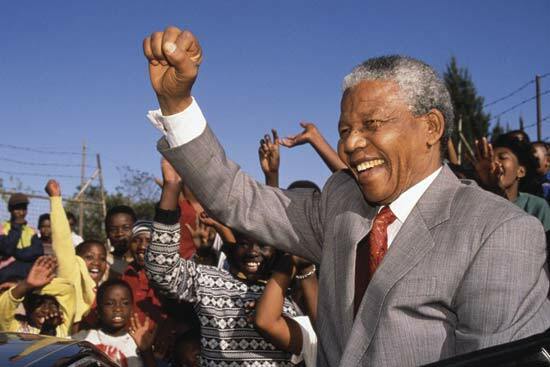 That’s when an amazing listing opened on the site: the so-called Mandela Treasure. This is the only set of this kind to have ever been made anywhere in the world. This is the only item in the world, besides Nelson Mandela’s own hands, which bear his fingerprints. The set is being sold as a whole, adding tremendously to the treasure’s rarity and value. The casts were made in 1990 by the mining company Harmony Gold. They were sold on auction later that same year to an undisclosed buyer and have not (yet) had another owner. The seller has decided to list the items on bidorbuy for a number of reasons and paramount amongst them are the security risks associated with having the item on display at a conventional auction house. bidorbuy, on the other hand, allows the item to be listed and displayed for auction in a secure manner, without the exact location of the Treasure ever being disclosed to the public. The starting bid for the Mandela Treasure is R 28 Million, with the reserve price of the auction set to R30 Million. According to the seller, half of the proceeds generated by the auction will be donated to one of Nelson Mandela’s charities in order to further his work and vision for freedom and equality for all. If the R28 Million price tag is slightly above your pay grade you can still find some quality Mandela Memorabilia in the Antiques & Collectables category on bidorbuy.